White, natural and 65 stock colors. Contains an average of 60% post industrial recycled content and a minimum of 10% post consumer recycled content. All of the pulp used to produce our tissue is ECF(Elemental Chlorine Free). Follow this link to the Seaman Paper Co. website to view their sustainable manufacturing processes. 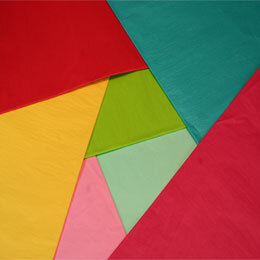 Click here to view Satin Wrap tissue color wheel. Minimum order: 10 reams of white or kraft, 20 reams of colors. All of our tissue is recyclable in most community curbside recycling programs. 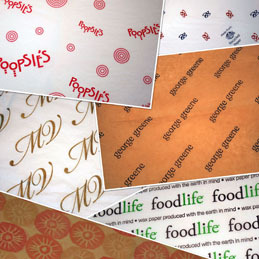 Call today to receive samples of our custom printed tissue.